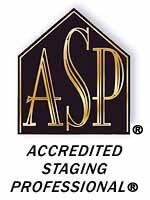 Andi is an ASP Master and Certified ASP Trainer for Staged Homes. She is the owner of Premier Home Staging LLC in South Florida. While living in Northern Virginia, Andi was a Staging Team Leader for Staged Interior, a full service staging company that services the Northern Virginia and Washington DC areas. Luxe Home Staging and Design specializes in Home Staging and Interior design Services. We serve clients in Southern Florida. We are happy to discuss your needs. Please reach us at 781.771.9675. Inspired Spaces. Exceptional Results.